Taking photos has become a major activity on smartphone. According to a recent survey, majority of people said they would share the photos they took on smartphones with friends and families. General social networks, such as Facebook, allows people to use photos tell stories. But sometimes, we just want to share photos with close friends, but not publicly. It makes sense, when you consider that some people steal personal photos on social media for commercial uses. Therefore, we are going to identify and share top 5 photo sharing apps in this article. These photo sharing apps allow you to store and post photos with friends safely. You can share photos and video clips on Instagram. The built-in photo editor offers many useful photo editing tools and filters. You can customize private settings and only allow certain people to see your photos. Instagram app also allows you to post the photos to Facebook, Twitter, Tumblr and other social media at the same time. Instagram app is available in both Google Play Store and App Store. It has extensive photo editing features. This photo-sharing app is free of charge. Developer updates and release new features frequently. It has dimensions limitations and cuts your pictures automatically. Instagram app does not support Windows phones. The limited memory is the biggest obstacle for many smartphone users. 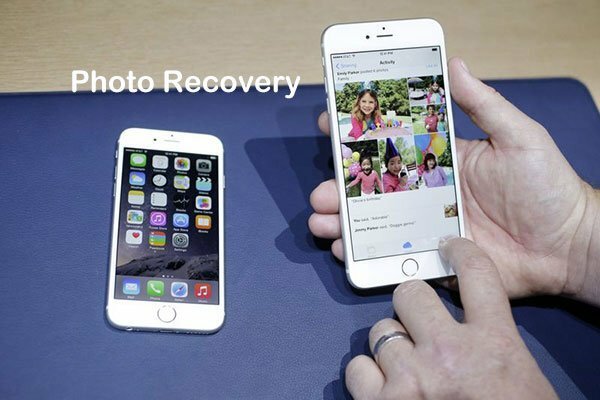 Thankfully, there are some cloud services could expand internal storage and help you share photos with close friends. Google Photos is such a useful application. This photo-sharing app could backup photos from smartphones to cloud server automatically. The latest update has integrated photo editor into Google Photos app. You can share photos with friends and relatives using Google Photos app privately. Users could post the photos to Google+ or use the Create link feature to share photos. The built-in facial recognition technology help you search for certain photos easily. Google Photos offers unlimited storage for free. This app supports Android, iOS and Windows phones. It embedded Google’s machine learning technology. The unlimited storage has photo size limitations. You have to view ads to exchange free storage. Cluster allows users to create a private group and share photos with each other. Only invited users could view and share photos to albums. If your friends or families post something new, you will get the notification in time. You can check who have viewed your photos and who have liked them. This photo-sharing app also has a web app. It is great private photo sharing app. You can protect your privacy from marketers. This app supports to organize and manage photos in albums. Cluster app is compatible with iOS and Android. This app lacks photo-editing tools. It cannot organize or group photos automatically. Unlike private photo sharing app, 500px allows you to post the best work to a passionate community, which covers millions of photographers all over the world. It offers chances to be discovered by international brands by sharing your best pictures to themed photo quests. You can discover and learn the fresh photography knowledge in 500px app. Users could follow their favorite photographers and get recommendations based your tastes. It has a built-in camera tool. This app allows you to take high-resolution photos. The interface is straightforward and easy to find what you want. It does not have private settings. 500px app lacks photo-editing tools. This photo-sharing app has the capacity to group and organize photos based on facial recognition and date. It allows you to send multiple photos at one time with on click. The photos you and your friends shared will be stored in one private place for view in future. You can look at these photos in slideshow. It also supports to post photos and slideshows to Facebook. All shared photo will be stored in full resolution. Both iOS and Android handsets users could use it for free. It does not have photo-editing tools. In this article, we have introduced and compared 5 best photo-sharing apps available for both iOS and Android devices. Instagram is an all-in-one photo-sharing platform with extensive private settings. Google Photos is one of the most popular photo sharing apps, which offers unlimited free photo storage. Cluster is a good choice for sharing photos with a small group and keeping photos privately. 500px is the best photo-sharing app for photography fans. If you want to group and share a big collection of photos, Moments is the best choice. You can choose an appropriate one from the top list based on your demands.